It’s common for those that want to take their own life to give signs of what they intend to do. If you are in a situation where you feel that a family member or a friend is at risk then you can play a key role by being supportive and present, and also walking them through the process to get help from a medical professional. Potentially deadly tools e.g. drugs, knives, guns etc. A feeling of hopelessness and helplessness. ; thinking that nothing will change or ever get better. Creating a will and getting affairs in order. Making plans to get prepared e.g. writing a suicide note or giving away personal possessions. Discussing suicide and saying things such as ‘It’d be better if I was dead,’ I wish I’d never had been born’ etc. Displaying behavior that is self-destructive and risk taking e.g. driving recklessly, risky sexual experiences, excessive use of alcohol or drug taking. Drugs and alcohol misuse are usually related to self-harm and to dull any pain that may be felt. Social isolation and withdrawal from friend and family members. Feeling like a burden on everyone. Mood swings vacillating between angry, depressed, sad, anxious or aggressive, irritable and moody. These feelings can turn to calm once the person has decided that they will end their own life. It’s normal to not feel as if you should say anything to a person who you think may want to end their own life. It is important to remember that if anyone shows signals or signs of suicidal ideation, they need help- and the quicker the better. If you talk to someone who is feeling suicidal you are showing them that you care and it gives this person the chance to express how they feel. It may also provide them with a chance to speak out about any negative feelings that they may be harbouring. Listen and allow the suicidal person to vent their anger and release their feelings. Even if the conversation is negative, this doesn’t matter. Look at the positives and the fact that a conversation is even taking place. Make sure that you are yourself and let the person know that they are not alone and that you are there for them. Whether you say the right thing or not is not that important, your manner and voice will show your concern. Provide some hope and let the suicidal person know there is help available to them. Be patient, calm, non-judgemental and sympathetic. Lecturing them on how precious life is or telling them that their feelings are wrong. Promising that you won’t tell anyone anything — there’s a good chance you will need to seek professional advice. If you promise to maintain confidentiality, you may end up having to break this promise. Offering advice or ways that you can fix their problem. The first way that you can help anyone that is feeling suicidal is by listening to them. Reiterate that you are there for them, they are not alone and that you care for them. You cannot take any responsibility for helping this person get better. All you can do is offer your support. It is ultimately up to the suicidal person to want to and commit to getting better. To assist a suicidal person in getting the help that they need, you can call a helpline to seek advice. You can try and encourage the person to see a mental health professional and help them to find a treatment center. If the person in question has been prescribed medication you can aim to make sure that it’s being taken as instructed. If you find that the situation is getting worse, you can get in touch with the appropriate professional. Bear in mind that it can take time to find the correct medication and the right course of treatment for each individual person. You can help facilitate to put positive changes in place such as a healthy diet, good sleep, exercise and plenty of fresh air. Note that exercise releases endorphins and these will help to increase emotional well-being and reduce stress. You can remove anything that may be harmful such as guns, knives, drugs or razor blades. If you suspect that an overdose is a possibility, all medication needs to kept locked away or given out only as and when the person needs it. After the immediate risk of suicide has passed, you still need to stay in touch with the person and check in on them as much as possible. The support that you provide is crucial and will help to keep your friend / family member on the right road to their recovery. 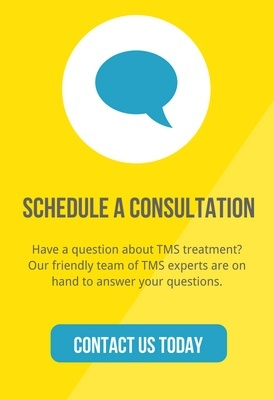 PreviousPrevious post:Don’t Let Your Depression Control YouNextNext post:How Does TMS Work?